Arts on the Lake partners with the Kent Public Library on this Putnam Reads event. While the smart young things did the Charleston and listened to Louis Armstrong, black sociologist Charles S. Johnson penned meticulously researched articles to counter the barrage of “scientific” racism exemplified by Tom Buchanan’s diatribe in defense of "Nordic" supremacy early in The Great Gatsby. Professor Courage’s multimedia presentation takes a look at the heroes of the Harlem Renaissance and the ways the worlds of West and East Egg were rife with racial (as well as class) insecurity. Although there is no charge to attend, to plan appropriately, we encourage reservations to rsvp@artsonthelake.org or 845-228-2685. Professor Courage's recently released book The Muse in Bronzeville is available from Rutgers University Press (use 20% discount code 02AAAA11), Barnes & Noble and your local bookstore. See related Putnam Reads The Great Gatsby events. Visit the website of Richard Courage. Borrow a copy of The Great Gatsby from your local library. Richard A. Courage is a professor of English at Westchester Community College and co-author of the recently released book, The Muse in Bronzeville: African American Creative Expression in Chicago, 1932-1950 (Rutgers University Press). He has published scholarly articles on African American narrative and visual arts, and the teaching of writing. 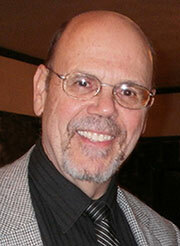 He has contributed educational reporting and opinion pieces to The New York Times and The Journal News. Courage co-authored The Muse in Bronzeville with his own teacher and mentor, the late Professor Robert Bone of Columbia University. This is the first comprehensive account of the creative awakening that occurred on Chicagoâ€™s South Side from the early 1930s to the Cold War. 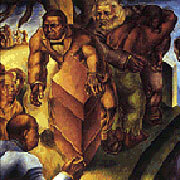 During these years, African American artists such as Richard Wright, Gwendolyn Brooks, Mahalia Jackson, Muddy Waters, Katherine Dunham, Charles White, and Gordon Parks produced works of literature, music, and visual art fully comparable in distinction and scope to the achievements of the Harlem Renaissance.